Growing up, I wasn’t the type of kid who knew how to fix things. I wasn’t into cars or building tree houses and I couldn’t for the life of me figure out why my Discman kept skipping (yes, it was because I was moving). But there was one thing I was amazingly good at: making Nutella sandwiches. Now that I’m older, I’ve realized that I do my best when I play to my strengths. Google AdWords is fortunately one of them. The other is making the occasional grocery store run in a highly effective manner. 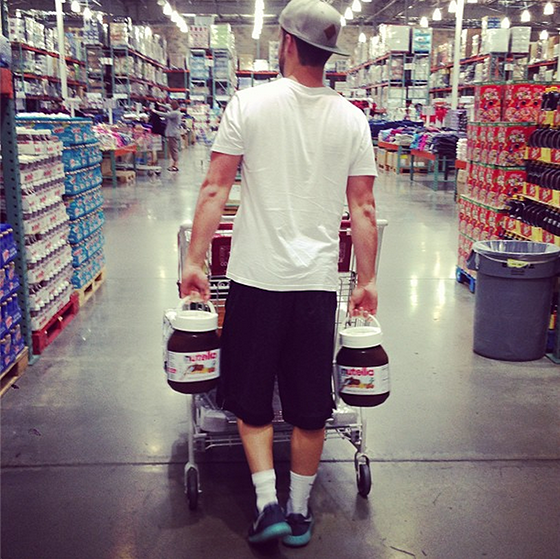 Let’s just say I still know how to get the essentials. And although I know you’re not a beginner when it comes to AdWords, I can’t tell you how many high-budget AdWords accounts I’ve seen ($100k – $500k/month) that are set up in a way that just makes me super sad. You can optimize your landing page all you want, but if you want to get the highest ROI from your PPC campaigns, you should also be optimizing your AdWords account setup. Not only will the ideas I’m about to share improve your CTRs, Quality Scores, ad positions and impression shares plus increase your chances of dating and lower your cost per click, it will also help you improve your conversion rates. Here are three AdWords mistakes that are hurting your conversion rates… and how to fix them. 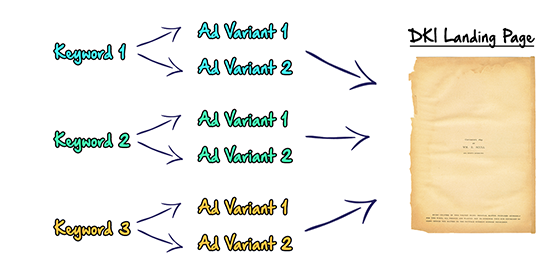 One major obstruction to AdWords performance is when people decide to bundle 10 – 20 keywords in a single ad group. Many people do this because all those keywords fit a common theme. What Google fails to mention is that having that many keywords per ad group can make search-to-ad message match hard to achieve. Message match is when the search term matches with the ad, and it’s ideal because achieving it means that Google bolds your ad copy to stand out. In the split second it takes someone to decide which ad to click, yours becomes instantly more relevant. But when you have that many keywords per ad group, you can never have a 100% message match between the keyword you’re bidding on and the ad that is being triggered to show. 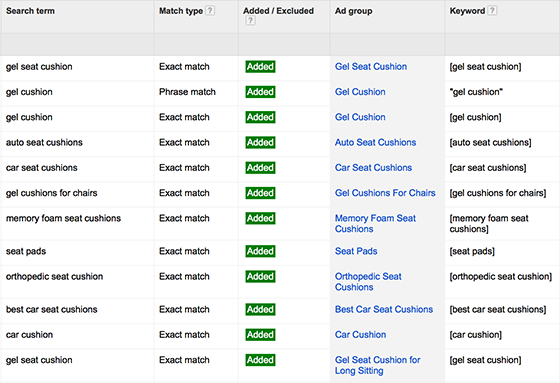 Having too many keywords in an ad group makes search-to-ad message match virtually impossible. Can’t believe I actually found a Nutella ad. So how do you go about perfecting your message match? The answer is SKAGs. Single keyword ad groups (aka SKAGs) allow you to control the message match between the keyword and the text ad because only one keyword will trigger that specific ad. The reason why this ad is better and more relevant is because you have the keyword you’re bidding on in the ad itself. Perfect message match. Your click-through rate slowly starts to grow as your relevancy between keyword and ad increase. The multiple keywords in your ad group ultimately hurt your performance and relevancy, bringing down your click-through rates and Quality Scores (and adding more just makes it worse). Here’s another example of a complete single keyword ad group overhaul for the entire account. Notice the spike in click-through rate and the ongoing improvement of it as well. Here’s why you can’t afford NOT to use single keyword ad groups in your AdWords campaigns. With PPC, there’s nothing worse than not knowing what you don’t know. 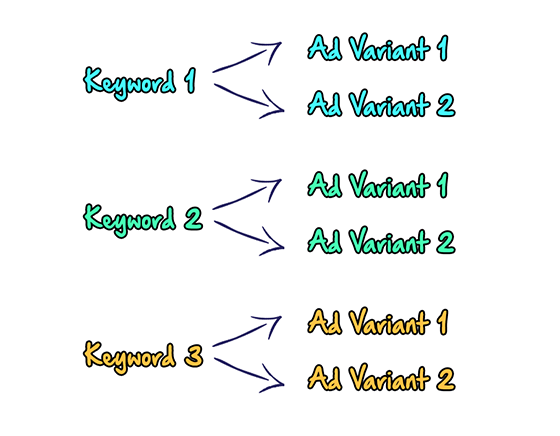 Inside your AdWords account, you most likely have short tail and long tail versions of different keywords. What you may not know is that your shorter tail keywords could be stealing away impressions from your longer-more-specific-tail keywords. Usually, this happens because AdWords doesn’t know how to correlate the search term to your long-tail keyword because of the match types you’ve chosen. This is a problem. You don’t want your newly-created SKAGs to go to waste, right? To avoid this scenario, we’ll need to take a very close look within your search term reports and make sure that each search term corresponds with the exact same keyword. Notice how the search terms correspond perfectly with the exact same keywords? To make this (almost ludicrous) level of granularity happen, you’ll need to start adding ad group level negative keywords (not campaign or account level negative keywords) when there’s a discrepancy between keyword and search term. This will then prevent your short tail keywords stealing away impressions from the longer tail ones. When you look at your search term report and see search terms that you want to show for but don’t match up exactly with the keyword that you’re bidding on, you’ll want to add that search term as an ad group level negative keyword (from the current ad group) and then create a new ad group for it. Sometimes you’ll find that negative keywords, bids that are too low or internal competition are preventing certain keywords from triggering corresponding ads. No matter the source of the problem, identifying the issue gives you the information you need to optimize your ads and make them hyper-relevant. As you continue to do this over time, your Quality Scores, click-through rates and average ad positions will start going up because you’re granulating and improving relevancy. Ad group level negative keywords are one of the key ingredients to a successful AdWords campaign. Now that you’ve done your part on the AdWords side, it’s time to start capturing the traffic on your landing pages. 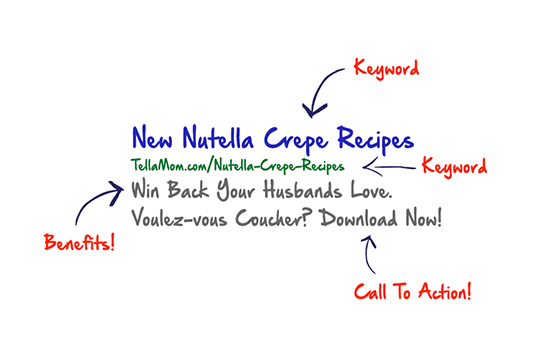 Remember the day you created landing pages for every single keyword? No? I sure do. Well, luckily, you may never have to go through that. With dynamic keyword insertion, you can essentially take any text on the landing page and change it out with what you specify in the URL parameters. This allows you to create one landing page around a service or product theme and then change the headlines and calls-to-action to fit the keyword that the visitor searched for. This will also have a positive impact on your landing page Quality Scores as Google sees that your page is very relevant to the keyword you’re bidding on. By the way, that’s a horrible landing page. No call to action at all. What is that? A parchment? Higher relevancy = higher CTR = higher Quality Score = lower CPC = lower cost per conversion. This trifecta of strategies will make ads more relevant to your leads and will result in increased conversions. It’s a win-win. Combined, these three steps will make your AdWords campaign optimization efforts more accurate than a Stormtrooper trying to do its own laundry. 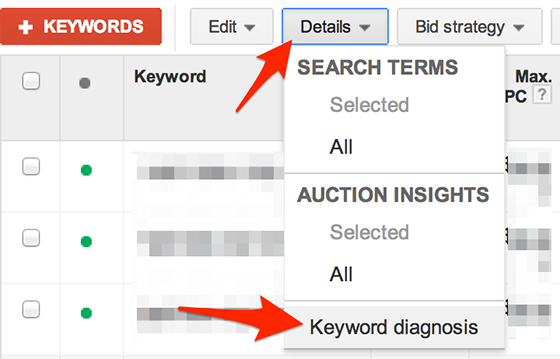 So there you have it: a brand new way to structure your AdWords account. I’d love to hear how your initial tests go. Do you think this will help with your PPC performance? Why or why not? Please comment below!